The Canary Islands are located in the Atlantic Ocean off the coast of Morocco. Being so close, these Spanish islands have become a magnet for British holiday golfers who can play their favourite game at any time of the year due to the sunny climate and consistent all year round temperatures. Each of the seven holiday islands in the Canaries are different. 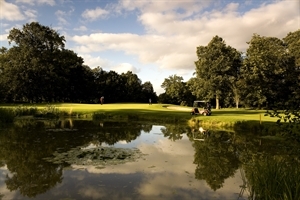 Tenerife and Gran Canaria are the largest and offer the golfer a good variety of courses and the smaller islands like La Gomera are also worth a visit on a golf free day. The Canaries offer a wide variety of non-golfing activities to suit all ages from water-sports to dolphin watching, Jeep safaris, hang-gliding, sailing, tennis, coastal walking. Tenerife is the largest of the seven holiday islands and the most popular. 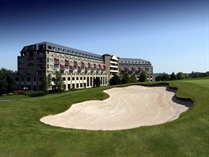 It boasts two international airports and six 18 hole courses which is also why it is a favourite among golfers. 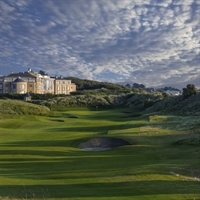 Four of the excellent courses are in the south of the island and there are two more in the north, so wherever you choose to stay on your golfing holiday you are never too far away from any of the courses. 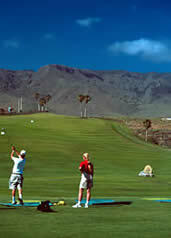 Tenerife is also famous for its lively nightlife, perfect for golfers who like a holiday with a nightlife. Gran Canaria is also known as 'the Small Continent' because of its varied landscape with mountains, deserts and tropical forests. You can even lie on a wide sandy beach and look up at the snow lying on the mountain tops at times. Four of its six courses lie at the southern end of the island and this includes the famous Maspalomas course surrounded by sand dunes. The oldest golf club in Spain lies further north next to an extinct volcano and is well worth visiting for the fantastic views it affords. Fuerteventura, with its volcanic landscapes and delightful white sand beaches, now boasts two 18 hole courses located close together making it a good location for a golf holiday.